Two-thirds of the WWE Cruiserweight Championship qualifiers have been determined on this week’s 205 Live, as Kalisto and Akira Tozawa advanced to the Fatal-4-Way match at Royal Rumble. 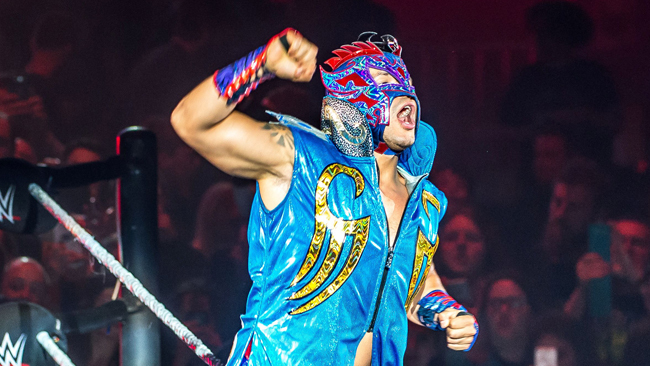 Kalisto earned his spot defeating Lio Rush in the first qualifier with the help of the Lucha House Party. Tozawa would face rival Drew Gulak in the main event to become the second participant in the Fatal-4-Way. After a grueling, physical bout, Tozawa would beat Gulak to earn his spot into the match. As 205 Live came to a close, Drake Maverick announced that Cedric Alexander and Hideo Itami would collide next week to determine the final participant in the Fatal-4-Way match. The winner to join the champion Buddy Murphy, Kalisto, and Akira Tozawa in Phoenix to represent 205 Live for the first major pay-per-view of the year.